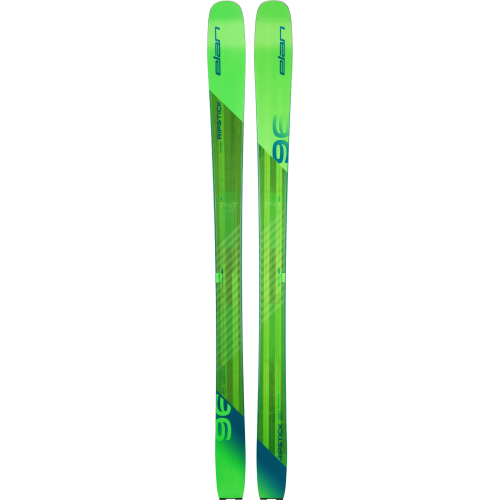 If a smootheness indicator existed for skis, the Ripstick 96 would chart at 100%! A true freerider that doubles as an all-mountain ski for those who want ultimate versatility on the mountain. The Ripstick 96 uses the newest technology and lightest weight materials with a modern shape and taper design that make it a perfect choice for every day, on any mountain. It’s wide enough to handle powder yet narrow enough in the waist to rip up the front side. With the Amphibio profile for exceptional maneuverability and edge grip, SST sidewalls for direct power transmission, and TNT technology for dynamic power, this multiple award winning ski provides a silky smooth ride no matter where your mountain exploration takes you.